He has, therefore, cautioned the two major political parties — the New Patriotic Party (NPP) and the National Democratic Congress (NDC) — not to look down on the smaller parties, particularly the LPG, because the party “is ready and prepared to match them boot for boot in terms of the best ideas to transform the country's economy". "Election 2020 will present the opportunity for the battle of ideas. The political party with the best ideas will eventually come as the winner," Mr Akpaloo said in an interview with the Daily Graphic in Accra. He said it had taken LPG so much time and resources to research and document ideas that had changed the economy of most developed countries such as Canada and the United States of America (USA). "These ideas the party is bringing on board in 2020 elections will make Ghanaians choose the LPG ahead of the NPP and the NDC. As for the other parties, the earlier they realise they cannot win the elections, the better for them," Mr Akpaloo said. Asked why he thinks the LPG will have the best ideas in the 2020 elections, he said so far, the party had monitored some of the discussions made by the two political parties on radio and television and realised that they had nothing to offer the people except trading political insults at each other. “The NDC is bereft with economic ideas and that is why the party is using attacks to win the hearts of the voting community, especially the grass-roots supporters," Mr. Akpaloo said. With regard to the NPP, he said the party was struggling to implement most of its proposed economic programme and that “goes a long way to reveal their commitment to rolling out good ideas". 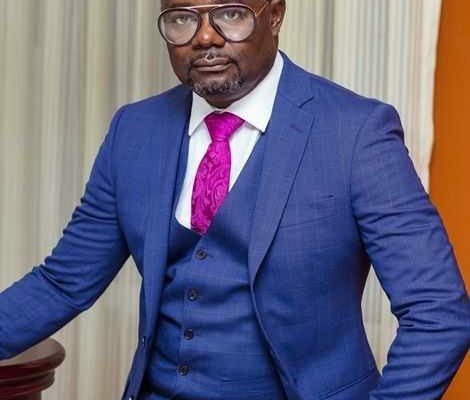 Touching on some of the ideas the party believes could enhance the country's economy, Mr Akpaloo mentioned the legalisation of marijuana which, he indicated, could help expand the economy. He said placing a ban on marijuana use was not the right path for any developing country such as Ghana to make since it had a lot of economic benefits. "What LPG is proposing is the legalisation and regulation of the marijuana usage to prevent people from abusing it. Marijuana industry can provide and earn Ghana 10 billion dollars annually," Mr Akpaloo said. He said the party had done its research and also put together a document on how the country could make use of marijuana to boost Ghana's economy. “Countries like Canada are making lots of money from marijuana. It is unfortunate that in Ghana, the norm is 'if you cannot regulate something, just ban it'. This is very sad," Mr Akpaloo said.